Come and experience one of the most pleasurable dinners our kitchen has to offer. This meal includes your choice of either a 10 oz. ($29++) or 14 oz. ($34++) cut of Prime Rib, served with Seasoned Vegetables and Mashed Potatoes. Our servers will also recommend a wine weekly that pairs exquisitely with this meal. The Club is also offering NO CORKAGE FEE on this special night, if you would like to bring your own bottle of wine. 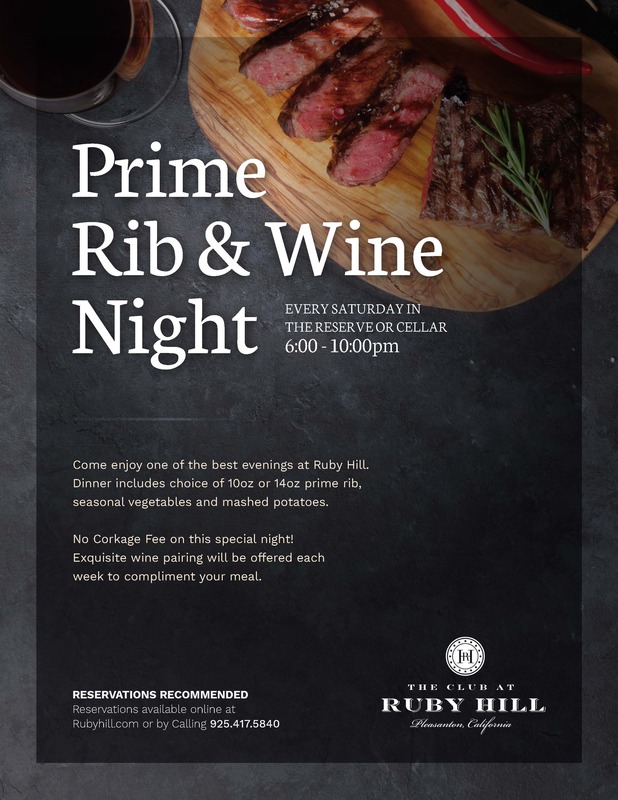 Make your reservations today by calling 925.417.5840.